After few years with Ubuntu and Mint, i’ve changed to Antergos few weeks ago, which is working like a charme. But i have trouble with Eagle and FreeCAD. The background of these ist black, so i couldn’t see the icons. I’ve played with the settings and themes but nothing happend to this behaviour. 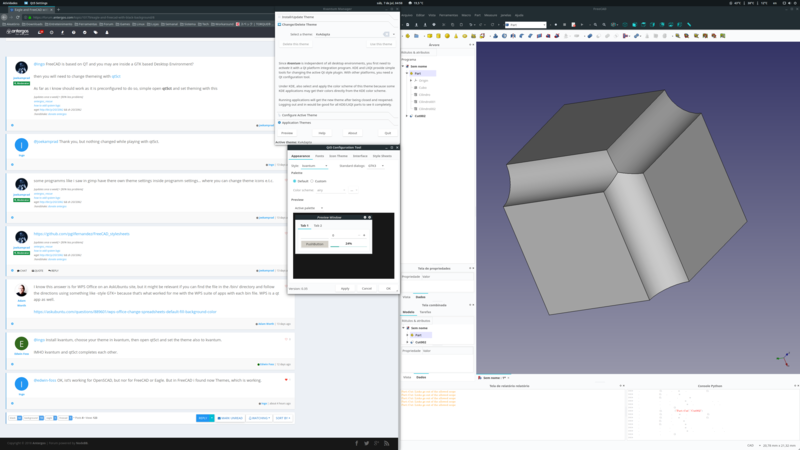 @ingo FreeCAD is based on QT and you may are inside a GTK based Desktop Environment? @joekamprad Thank you, but nothing changed while playing with qt5ct. 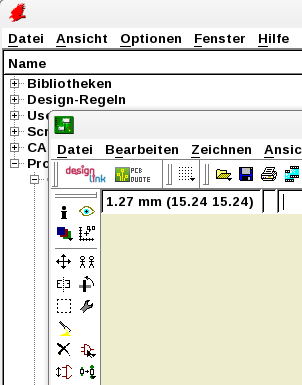 some programms like i saw in gimp have there own theme settings inside programm settings… where you can change theme icons e.t.c. I know this answer is for WPS Office on an AskUbuntu site, but it might be relevant if you can find the file in the /bin/ directory and follow the directions using something like -style GTK+ because that’s what worked for me with the WPS suite of apps with each bin file. WPS is a qt app as well. @ingo Install kvantum, choose your theme in kvantum, then open qt5ct and set the theme also to kvantum. IMHO kvantum and qt5ct completes each other. @edwin-foss OK, ist’s working for OpenSCAD, but nor for FreeCAD or Eagle. But in FreeCAD i found now Themes, which is working. It’s strange that doesn’t work for you, but I’m glad that you found a workaround . Oh!, I almost forgot if the program was built against QT4 running qtconfig-qt4 and change “GUI Style” to GTK+ can fix some behaviours. @edwin-foss SUCCESS! qtconfig-qt4 is the solution for Eagle 6. Many thanks to you and the other helpers!